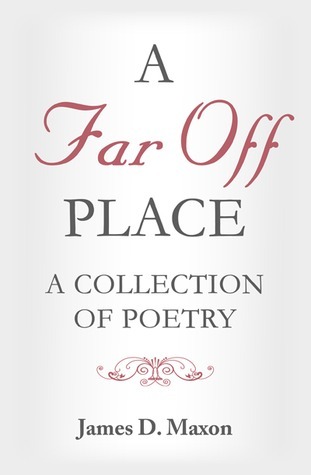 Although this collection of poetry is not – as Maxon freely admits – technically or stylistically complex, nor it is dry or arch.The collection contains 92 poems written between the ages of 17 and 25, arranged in chronological order.Apart from a few poems, mostly toward the end of the collection, the content is strongly Christian. This is unlikely to appeal to reader’s uncomfortable with overt religion.The collection is written in conversational language, rendering it highly accessible.However, this lack of nuanced vocabulary and style, combined with the single repeated theme of Christianity, leads to the collection feeling slightly repetitious if read in a short period.O silent phone that haunts my mindAs I sit staring with endless timeInanimate carrier of a voice so sweetCannot you bring my love to me?- Waiting For You To CallWhere this collection does shine is in portraying the difference between believing God has a plan and knowing your place in it. Beneath the declarations of inherent sin and divine grace common to much of populist Christian writing is a very personal struggle to reconcile mundane capabilities with the needs of divine perfection. This struggle is likely to ring true for anyone questioning the apparent imperfection of the world, whether Christian or not.Toward the end of the collection, Maxon includes several poems written about his (now) wife. As well is the increased facility with language that comes from increased practice, the less overwhelming love he feels for her has – ironically – permitted him to express himself more lyrically.Of particular note in this grouping is My 1 and 2: Maxon’s declaration that he loves his wife second only to God. Although the language is not exceptional for itself, the poem succeeds in showing what could be seen as a relegation, as the prize Maxon believes it to be.I found the collection an interesting picture of the development of one man’s religion; however, the questions it asked were not my questions so I am unlikely to return frequently. I recommend it to reader’s seeking a perspective on faith couched in layman’s terms. James D. Maxon - James D. Maxon (1977-Present) was born at Elmendorf Air Force Base in Anchorage, Alaska. His parents were divorced when he was three-years-old. Raised in a strictly female household, James grew up in the midst of mental illness and depression. He, himself, struggled in school due to a learning disability. Without a positive male role model, James learned how difficult it can be for children to realize their true potential. Having acquired a love for fantasy at a young age, he began to write stories of his own, providing children and teens with messages of faith, hope, and insight. Overcoming his disability, James graduated college with a 4.0 GPA. He deepened his connection to the creative world by following a career in design. He now lives with his wife and daughter in a suburb of Minneapolis, Minnesota, and spends much of his free time applying his imagination to the real world.